MAI LE – Reflections of a Goldman Sachs Investment Banker – How I got my job in the U.S. 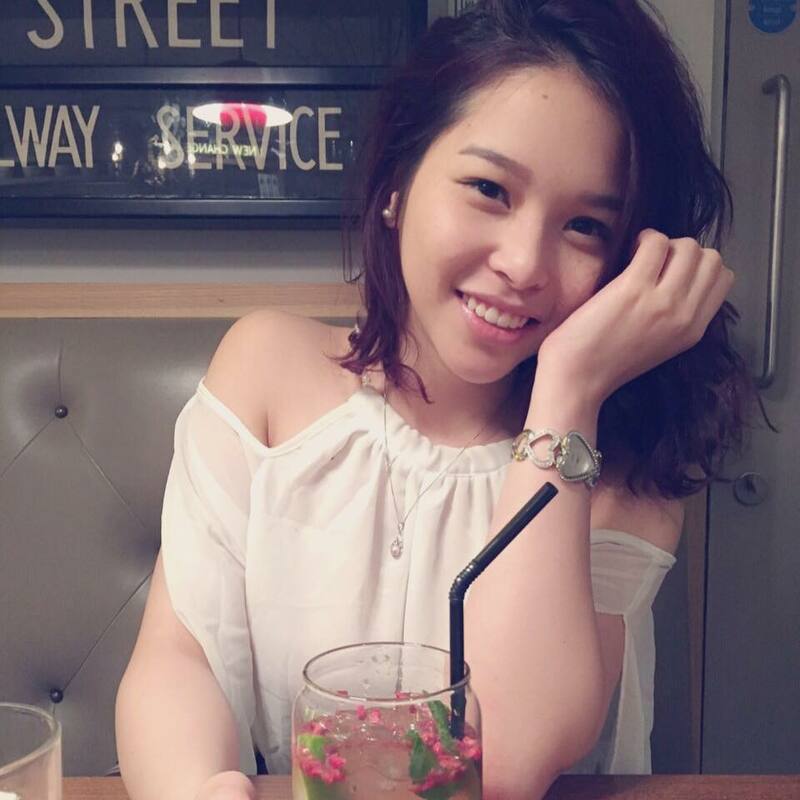 Author: Mai Le, a talented Vietnamese girl who is working as an Investment Banking Analyst at Goldman Sachs in London. Toan – the founder of “How I got my job in the U.S.” – reached out to me as he once stumbled upon my website. I have been immensely impressed by the inspirational stories featured on the site. To continue the youthful fire of the dream-chasers across the globe, here is mine. Because there is no such thing as “The Official Guide on How to Get a Job at Goldman Sachs”, I can only tell you my stories and hope it may resonate with some of you. These details are by no means considered as advice or self-help principles, but rather a personal story made up of personal choices. Until Toan’s ask and until I now sit down in a small coffee shop by the Thames River to write to you, I have never properly recollected my earlier memories of how my life has developed. It is thus amazing for me to suddenly realise how far I have gone. Every day we create and live thousands of different moments. Among those, some experiences left stronger impression and memories within me than others. Certain realisations over the years have been built into my character as the evolving principles of the way I operate. I recalled the few most impressive pieces among these retentive memories, and concluded that the three principles below have significantly helped me advance in life. You will first question how these stories relate to getting a job – but it will all unveil and make sense in the end. I remember a bold piece of memory about the conception of this attitude within me. I was 10 years old and in my first year of secondary school. It was a period where everything bad that could possibly happen did happened to me. My grades were falling at school. I fell sick several times, and had a few accidents on the road. Because the class of which I was the class monitor did not listen to me, we were the worst performing at school. I could not come back to my parents to complain or seek for help as they had to be away from me for an extended period of time. This series of negative events built up such a high level of anxiety within me until I felt gradually helpless and did not know what to do. I remember vividly it was around 5pm on a sunny day approaching summer. I cycled home after class in tears. The thoughts in my head screamed to myself “Why is my life full of troubles?”; “Why do all these negativity just come to me and I helplessly could not predict them?”; and “Why do I always have to suffer several negative results without any control over what will happen next?” At that moment in tears, the 10-year-old me decided that I would not suffer. I still remember the bold statement I repeated to myself again and again on the bike at that time. As a 10 years old, I started to tackle those problems one by one. I followed through until I could tackle some problems successfully. For the problems I could not tackle, I apologised my myself and others for my incapability, flagged it to the right person who could resume responsibility and then moved on. This take-charge attitude has imprinted in me from that moment and acted as the driving force behind my behaviour. It worked well in my favour because it has toughened my charisma and built my resilience toward headwinds. I have confronted all hurdles that come my way since then; and got a bit stronger every time I manage to deal with new challenges. If you find it rather difficult to consciously embed this attitude into the way you act, I have a principle for you: The “do it like you are finding a place to rent” principle. A senior colleague of mine shared this principle to me. To ensure the take-charge attitude at all time, do everything in a way as if you are finding a place to rent. When you are finding a place to rent, you are aware of the importance of the matter; you call up potential real estate agents about possible listings; you follow-up with the right people; you negotiate; you have an urge to find a place as soon as possible and you will not rest until you have found a place to live. Every action in your life, if you abide to this “do it like you are finding a place to rent” attitude, your leadership will be sure to thrive. A hurdle I faced during my university years was that I knew too many people, but with none of them I left a long-lasting impression or built a proper meaningful relationship. Friendship was fleeting to me. In addition, I could see a significant discrepancy between my popularities among the Oriental fellows, compared to my Caucasian fellows. In fact, I found hard to relate to my European acquaintances. I was also often cut off or not listened to during my conversations with them. I remembered I was 17 years old when I took part in the group discussions in some bank’s female recruitment initiatives. In the discussion, I repeatedly try to raise a point but was cut off and ignore by other English girls from state schools. At the time, I concluded that they were probably not used to the presence of a small Asian girl with a big idea. However, in the following years, such situation happened again on a few other occasions. “It’s not possible that everyone was not receptive to what I have to say”, I thought. I therefore was not sure how I could resolve this issue. It took me a while to figure out that the problem all started in my head. In all honesty, I did not admit that I was afraid and rather intimidated in my interactions with these Caucasians. My confidence of my view and myself did not shine through. More importantly, I think they are different. In my head, therefore, I treat them differently compared to my oriental fellows. This subconscious division between them and me made the interactions rather awkward and tense. I did not realise we are all human sharing the same concerns. There is always something that I share in common with someone else. For example, all girls concern about boys. All boys concern about girls. All parents concern about their kids. All married couples concern about their marriage. All bosses concern about their employees. All employees concern about their promotions – and so on. Finding a topic to talk about is easy if you think they are just like you. For that reason, I have switched gear to employ a different approach. To everyone I met, prior to meeting them or have any prejudice about them, I tell myself “They are just like me. We are all the same”. Later, when I attend training on interpersonal communications, I was advised to employ the “old John” principle. The key to connect to anyone meaningfully is to talk to them like you talk to your old best friend “John” whom you have lost touch for a good while. If you think everyone is your long-lost best friend, the interactions start to become more natural, relax, and you suddenly find a meaningful degree of mutual understanding between you two. …Then we talk about his wife, his marriage and his migrant life for the next 30 minutes of the ride. He even gave me many life advices. I had an interesting ride listening to his stories; he had an enjoyable time sharing stories and thoughts that he didn’t even talk to his friends about. Everyone has problems and concerns; they all want to be heard and understood. You need to create the atmosphere that allows them to express themselves. Such relaxed atmosphere started inside your head. If you treat them like an old best friend, they will do to, to you. This principle has helped me tremendously at work as well as in my personal life. Until I was 21 years old, I found myself a rather “boring and serious” person. I guess that others who interacted with me at that time would have thought the same. My eyes lit up when someone was talking about internships, jobs, wealth, achievements and competitions. I was rather a competitive person who was interested in “serious” topics. On the other hand, I felt isolated because I found emptiness and a considerable distance between myself and peers. I struggle to become a “fun” person – someone that others would like to have around and befriend with. She is positively energetic and interesting. Others are drawn to her and what she has to express. Someone who not only knows a lot of people but a lot of people also knows her. Someone who you may find intrigued about and would like to associate yourself with and know more about. In the midst of confusion trying to become this person, I asked a friend, Ms. Genius, on how I can be “fun”. She dropped an accidental advice, which she now didn’t even remember that she did. This advice has changed my life forever and made me that “fun” person I wanted to be. “Just always try to find ways to laugh at yourself”, said she. I was sceptical but I gave it a few tries since I did not have much to lose anyway. I then slowly observed a gradual change on the kind of energy I release to the environment and how others perceived me. I did not realise I was “boring and serious” because I had this imprudent pride of myself, which creates a visible barrier on how others can connect with me. I thought that this imprudent pride was the confidence I should have. Later, I realise that it is the contrast. Such imprudent pride was a form of insecurity. Only when I am able to laugh at myself, would I be truly confident about myself. Once I start to laugh at myself and see myself as a flawed but improving creature, I slowly became more relaxed and approachable. I became interesting because I admitted this confidence to others and stirred up the environment with positive energy. By having a standard of what you deserve and proactively express such standard through your actions, you will be respected and treated in the way you think you deserve. If you have read until here, you may wonder “How does these three principles relate to getting a job at Goldman Sachs?” I will smile and murmur to you “It all starts with you”. If you have these three principles well-practiced, I promise you that you will advance far in life. The truth is that getting the job in any prestigious company is only a label to your qualities, so is having high academic grades, having a lot of money or wearing branded clothing. It is thus more important to see the true values, qualities and potentials within you. Once you understand these things so well, nothing is impossible, whether it is getting a job, starting your company or embarking on your next impossible missions. P/s: The original post appeared at Mai’s website. Follow Mai on Facebook or see more of her posts. Next WILLIAM HAN – I spent the last 15 years trying to become an American. I’ve failed. Thank you so much for sharing Mai!